Team matches are considered the most important competitive events, especially among shooters on military teams. The USARCMP won first place in the National Trophy Team Rifle match at the 2016 National Matches. 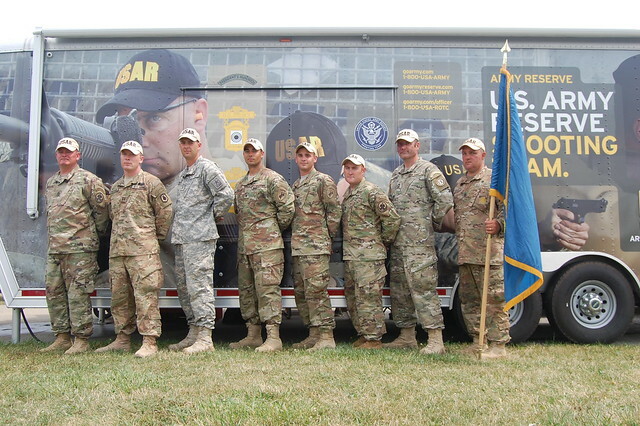 Army Reserve Anderson won the overall match with a score of 2957-111x, one point below the current national record. Coached by MSG Norman Anderson, the team won the National Trophy for finishing first overall and the Hilton Trophy for being the high Reserve team. National Trophy Team champions: Army Reserve Anderson. Team Coach MSG Norman Anderson, CPT Samuel Freeman, SGT Nickolaus Mowrer, SGT Joseph Hall, SPC Trent Thomas, SFC Joel Micholick, MSG Robert Mango, Team Captain SGM James Mauer. This entry was posted in Public Affairs Program and tagged CMP, FY16-summary, NTT.